Welcome To A Free Fun Option For Your Visit To North Myrtle Beach! The North Myrtle Beach Park and Sports Complex is a must visit if you have never been here. There is so much to do and experience in this park that spans over 162 acres of land. The eco-friendly park is serenely placed in the pine woods of Little River, South Carolina (just two mintues from downton North Myrtle Beach) providing what could be the best choice for a sports event destination or just a friendly stroll in the park with your family. Regardless of whether you wish to hold a big or small tournament, North Myrtle BeachPark and Sports Complex is fully equipped with modern facilities. The vast terrain of the park hosts an administrative building, walking and biking trails, 20-acre Carolina Bay, 25-acre Lake, 10-acre meadow, eight soccer/lacrosse fields, six baseball/softball fields, a three-acre dog park, eight batting tunnels, ADA accessible playground and an outdoor amphitheater. As a matter of fact, it is the one of the only ones in the Grand Strand and ideal for small concerts or award shows. If you would like to visit the North Myrtle Beach Park and Sports Complex, their gates open every day at 7AM and close at 7PM. Other features of the park include umpire rooms, picnic shelters, concessions areas and misting fans in each bunker. Some of the events hosted in the park include live music, fitness classes, Adult dance classes, youth and adult sports leagues and holiday festivities. When the time for games is over, but you can spare some time for recreation, the best of North Myrtle Beach restaurants, hotels, shopping, and sceneries await you just around the corner. If you are one of those people who just live for an adrenaline rush, you will love the jetpack adventures at North Myrtle Beach. You get to experience the world's first recreational jetpack adventure with the help of certified flight instructors and navigators. In this adventure, you get to fly high above the water up to 30 feet, dolphin dives, speed runs, and sight-seeing hovering. There is a safety policy in effect that requires that every adventure seeker is above 16 years and those below 18 to have their parent's signature, 5-6.6" tall, 90-350 pounds heavy, good English, proper vision and comfortable in the water. If you have a furry friend and you would like to bring him along with you, there is a three-acre dog park that is well fenced for Bingo to play and get his much-needed exercise. To safeguard your pets, there are two separate areas for smaller dogs below 25lbs and large dogs. They also have put in place some rules and regulations to ensure that everyone enjoys their experience to the fullest. If you want to bring Bingo and Fido to play, the park is open from 0630hrs to 1700hrs. The dog park is out of bounds for dogs that are aggressive, sick and unvaccinated. Female dogs that are in heat are also not authorized. The park has several animal control and police officers on patrol to ensure everything stays in order. During special events or maintenance, you may be denied access to the dog park. However, in such a case, a notice will be posted. The North Myrtle Beach Park & Sports Complex have a wide range of sporting activities. Their facilities are vast, and they can host several tournaments at once. To begin with, they have a recreation department that manages a broad range of adult sports that let grown up men and women play like children at heart. They have adult softball, soccer, volleyball, and Pickleball for both men and women. They also offer programs designed for the youth to play in a fun, safe and well-supervised atmosphere. The program is designed to focus on the child as a whole. It includes positive coaching, sportsmanship, teamwork, self-esteem, skill development, socialization skills and self-development. The youth sports offered include baseball, softball, soccer, lacrosse, and tennis. They also host many tournaments every year for both the youth and the adults. 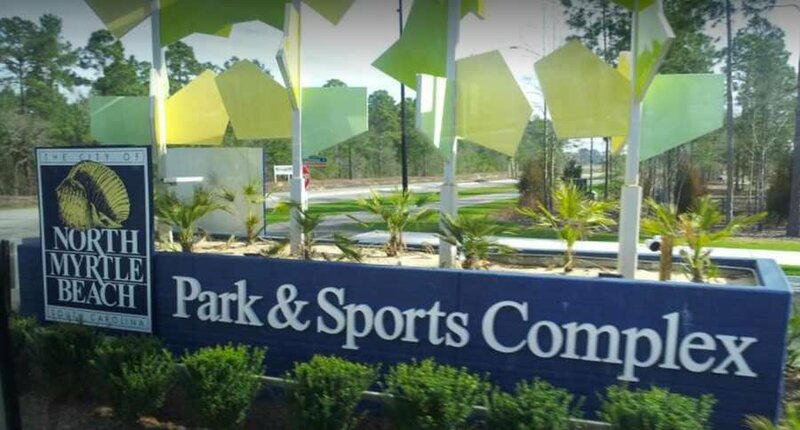 The North Myrtle Beach Park and Sports Complex is a state-of-the-art facility that was constructed to attract various sporting organizations from all over the United States to hold their tournaments. Additionally, it was built for the residents, sports teams, and colleges to use all-year round. If you are looking for a vacation destination, you should consider checking this place out. There is so much more.